The Scottish Exhibition and Conference Centre's (SECC) turnover increased by 10% to more than £18m in the 2008/2009 financial year. SECC's operating profit for the period was also up 47% to £618,676. 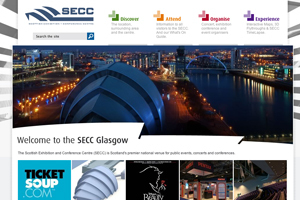 SECC hosted 43 conferences that attracted more than 45,000 delegates throughout the year. SECC chief executive John Sharkey attributed the growth partly to the creation of a combined sales and marketing team. "This year, we've seen the benefits of combining marketing and sales expertise in a joint sales division, allowing us to work to a tight tenancy calendar and maximising long and short-term business," he said. "We've been particularly successful in the international association market, hosting a number of prestigious events including conferences for the International Aeronautical Federation and the International Conference on Pain." Sharkey forecasts a challenging year in 2010 but plans to "build on past and current successes to emerge as a stronger business from the economic downturn".